Easter is a busy season at Restoration! 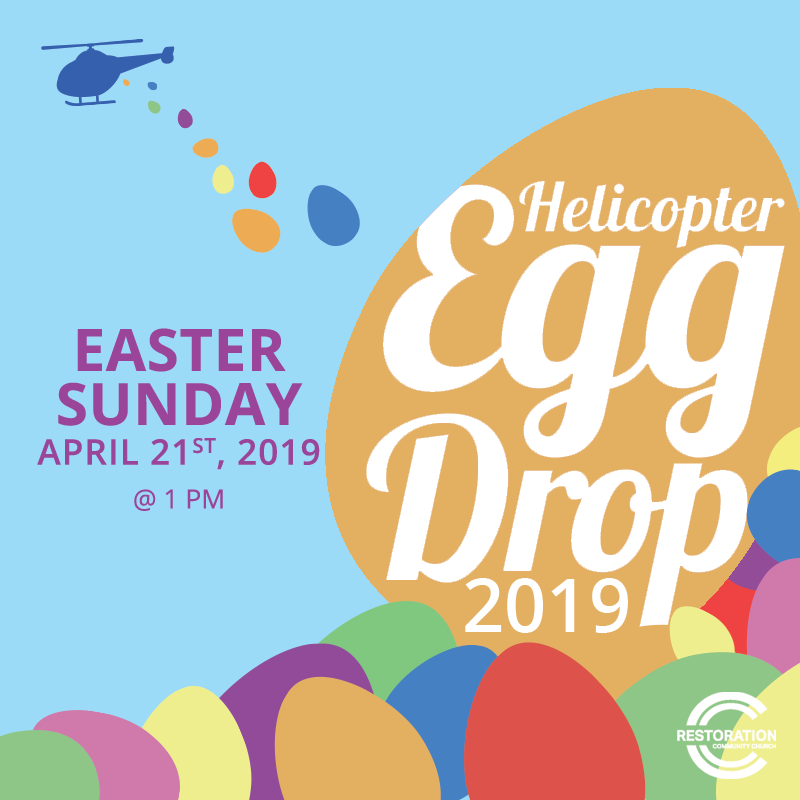 Check out what is happening Palm Sunday weekend and Easter weekend! 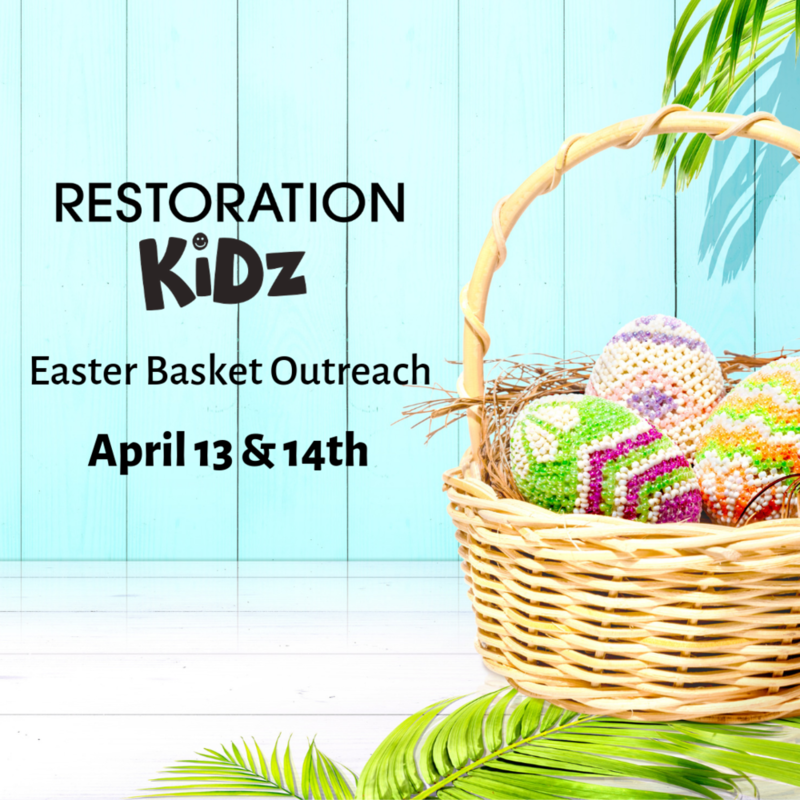 During all 4 services services on April 13th (5:30 pm) & 14th (9am, 10:30am & 12pm), Restoration Kidz will be decorating and assembling Easter baskets that will be given to children around the community. Contact Brady at brady@restoationcc.us for more information. To help our growing numbers, we’re starting a new 12 pm service Sunday, April 14th. If you love sleeping in on Sundays, or getting outside before church, this service is for you! Let us know you want to join by signing up on the chalkboard outside this weekend! Interested in volunteering for Easter or any of these events? We need lots of help to make sure Palm Sunday weekend and Easter weekend go great! Click the button below to see how you can help.